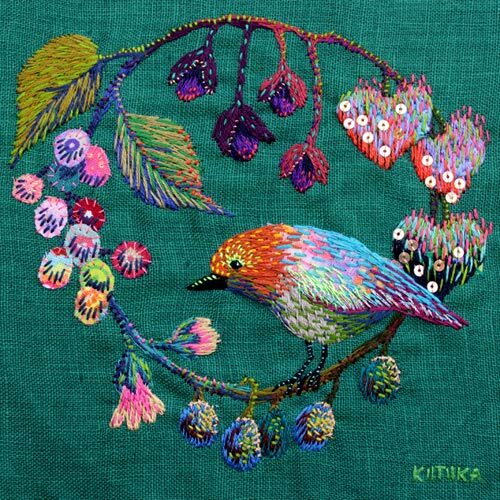 I’m trying to keep up a sort of regular ‘feature’ on über embroiderers on The Smallest Forest: These are the big kids, the crème de la crème, the leet of needle and thread…that runts like me long to play with, but will never even exist in the same universe with. *stabs herself with a #24 chenille* Oh, crewel world! 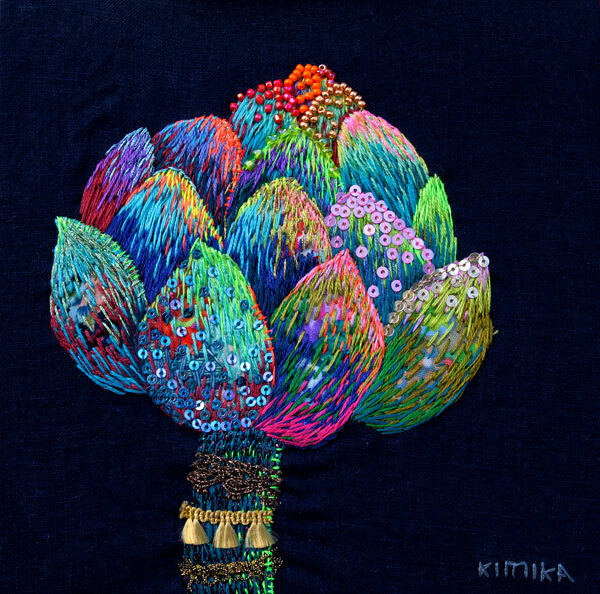 Japanese artist Kimika Hara’s work is an embroiderer’s eye-candy x a hundred. 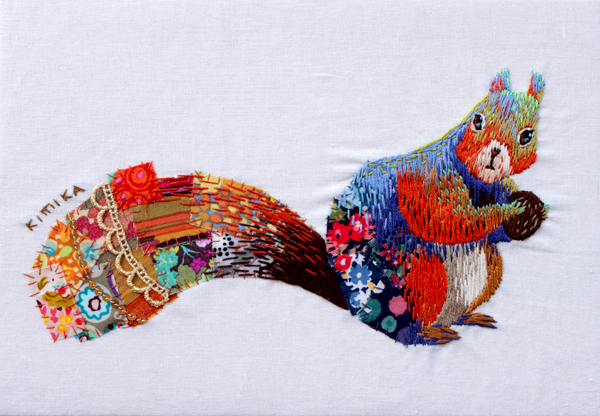 She uses simple stitches and raw-edged appliqué of commercial fabrics, but her color palette and the cute subjects she depicts blow her pieces out of the water of ordinary embroidery and into über gorgeousness. What can I say? That I’m jealous of her? That, one again, an über embroiderer has left me feeling hopelessly redundant? 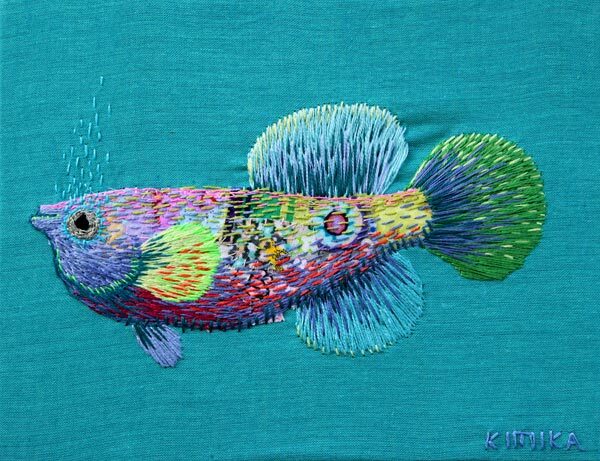 That I’m torn between feeling so inspired by these embroideries, and hating them for being so awesome? That I have to exert tremendous willpower not to grab a needle, some thread, and surreptitiously imitate her fabulous style? Yes, all these things. These images defeat me, and she doesn’t write too much about herself on the internet, so I’ll stop here and let you get on with admiring these pieces. These are true works of art. Beautiful. Reblogged this on A Cup of Tea With This Crazy Nia. I think everyone on the Web is crushing on Kimika – the colour and little touches of embellishment are stellar! These pieces are amazingly beautiful. 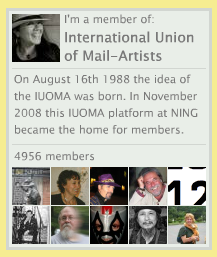 Thank you for sharing such a talented artist. Incredible and so artistic. Thanks for sharing. Ah-mazing 🙂 Its a feast to the eye!